Indonesia has one of the highest incidences of blindness in the world. At least 3.6 million people are visually impaired and between two and three million of these people are affected by cataracts. For the vast majority of the population there is no hope of treatment, which is unavailable in most of the country. Many of the cataract-blind are elderly, but cataracts can occur at any age, including young children. Those afflicted lead marginalized lives, although most can be successfully treated with simple surgery. 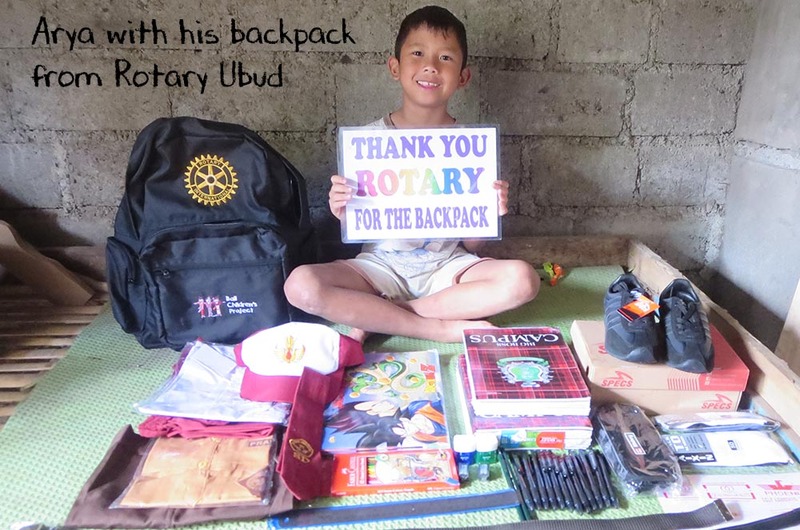 In July 2014 Rotary Club Bali Ubud Sunset sponsored free mobile eye clinics to four villages and two elementary schools in the Ubud area through the John Fawcett Foundation. Over 2,100 people were seen in five visits, including 355 children. The most seriously affected with vision problems in these village visits were among the elderly. The 28-member team includes highly qualified nurses, doctors, technicians and administrators working with outside Australian-trained surgeons who volunteer their time. The key components of the program include field screening for impaired vision, treatment of minor eye ailments, distribution of eye glasses, cataract surgery from mobile clinics in villages for adults and in co-operating hospitals for children (who require a general anesthetic), and providing artificial eyes. For over 22 years the John Fawcett Foundation has been providing free eye screening and cataract surgery in Indonesia. It has screened over three quarters of a million people for eye problems, performed more than 38,000 cataract operations and distributed over 330,000 pairs of eye glasses. In 2013 alone the John Fawcett Foundation screened and treated 44,803 eye patients, provided 2,175 free cataract operations on adults and 31 for children, distributed 30,420 pairs of eyeglasses, screened 10,487 school children and fitted 47 prosthetic eyes. A mobile eye clinic visit can be sponsored anywhere in Indonesia with ferry or air access (one mobile clinic was purpose-built to fit inside a Hercules C-130 for missions in cooperation with the Indonesian Air Force). About 500 people can be screened each day and those identified with cataracts are often operated on immediately in the fully equipped mobile clinic.